Walkie-Talkie is an easy to use offline Voice and Instant Message Chat app for iPhone and iPad. No Cellular network is required. Going on holiday with your mates but not sat near each other? No problem, use the App with Airplane Mode enabled and Wi-fi on to stay in contact. Cycling or hiking or doing some other group activity? 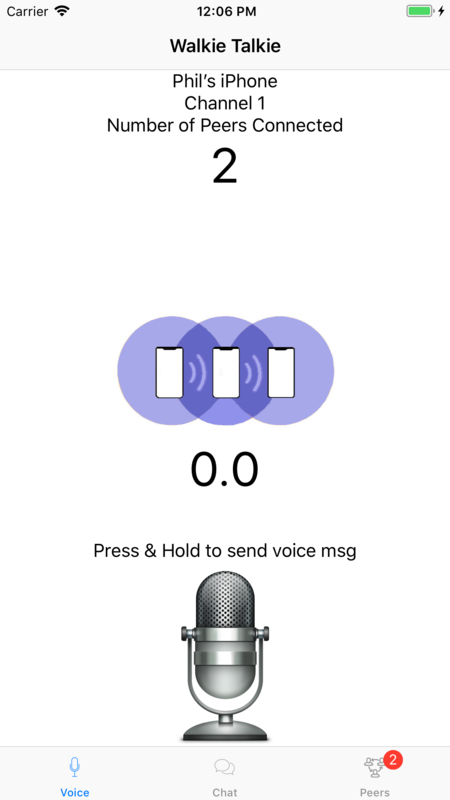 Use the Team Speak feature to send hands free voice messages between each other. 7 available channels to choose from within settings. 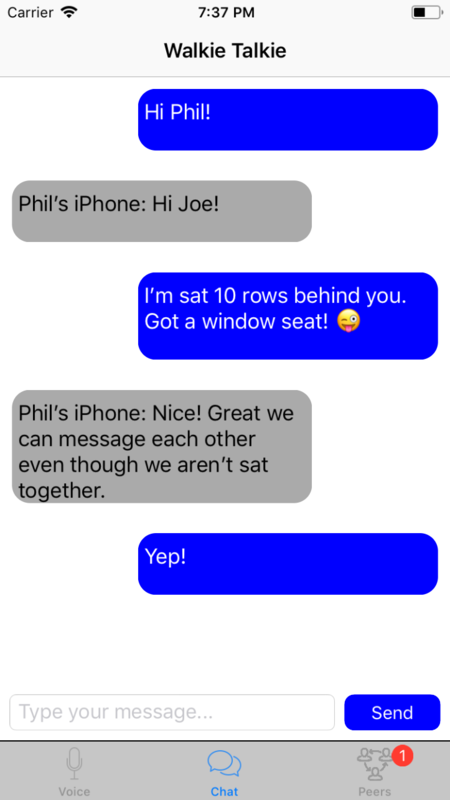 The app automatically connects to users on the same channel. Choose a nickname to use whilst in the App. Default is iOS device name. Possible use cases range from Productive, Fun to potentially life-saving! During a disaster, flood, hurricane, tornado, earthquake etc.